Fans of Hayao Miyazaki and Studio Ghibli, it’s time to expand your horizons! This beautiful, modern-day fairy tale is the latest animated feature from Mamoru Hosoda (“Summer Wars,” screened at PCFF 2011; “The Girl Who Leapt Through Time”). 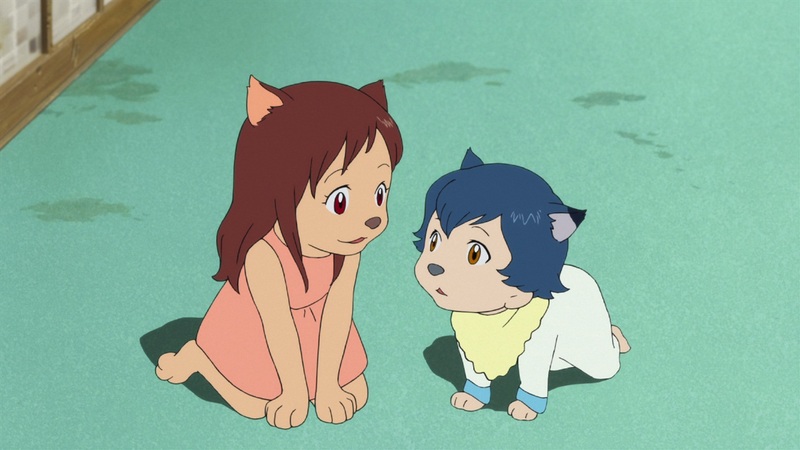 “Wolf Children” is an exquisite fantasy about a single mom, Hana, who had the misfortune of falling in love with a wolf man. He was kind and considerate, but given to roaming the streets at night on four legs—which is how he comes to a tragic end. Alone, Hana learns to care for kids who have the plucky charm of young humans, but the unpredictability and appetite of growing puppies. With its gorgeous animation and sensitive, multifaceted direction, this is a funny, exhilarating and touching film about nature, nurture, and the call of the wild. It’s ideal family viewing—and equally suited to wolf packs.